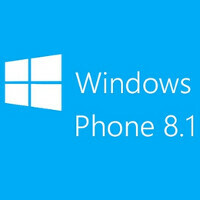 A lower cost version of Windows Phone 8.1 is being offered to manufacturers by Microsoft, in an effort to keep the phone producers churning out cheap versions of Windows Phone handsets. According to a Microsoft blog posted on Friday, some new Windows Phone models will be introduced heading into Computex which starts June 2nd in Taipei. A new version of Microsoft's mobile OS, called Windows Phone 8.1 with Bing, offers the latter as the default search engine within Internet Explorer. Users will still be able to change search engines as they wish. Some of these models, especially tablets, will also include Office, or a one year subscription to Office 365. The main reason for giving manufacturers a lower cost, or even possibly free version of the platform, is to encourage them to continue offering lower cost Windows Phone models. And now, some of them will come with Office. It seems like a win-win-win for consumers, manufacturers and for Microsoft. Throw in app developers taking advantage of the increase in users, and it's a win-win-win-win. Wait a little longer OEMS, you'll get paid to push the OS. Beware of newly hired high ranking company officers. No one can say Android is in a race to the bottom anymore. I thought WP was suppose to be free now. Besides with Microsoft now owning Nokia phone and devices division. Any new WP OEMS would be competing with Microsoft, and Microsoft sells over 90% of all WP devices. Microsoft owns and controls the WP OS, and you can only use Qualcomm CPUs. The other thing is WP market share is only at roughly 4% globally. I like how you're hoping for reinforcements to make yourself feel better. Aww Buttercups, don't run away, we didn't when you an bretheren were trashing anything not WP. Everything is fair game to someone on PA.
Show one article where I trashed iDroid. One Article since the beginning of my membership.. Don't group me with you, and others, who trash platforms.... But, don't forget.. Show me.. I'd like to see this. No sence filtering through 3K of posts when most regulars know better then what you are portraying now. Get real. WP is loved by the public consumer feedbacks and the fact that is it all the platforms and their OEM's they are all now FLAT, CLEAN, MINIMALISTIC like WP. The OS is a trend setter. Additional besides copying WP UI they also also copying WP features like Android copied WP three dot menu, immersive mode, flat and colorful status bars. HTC Blinkfeed is dead knockoff off Live tiles design interface and WP panorama UI. Xperia Z2 tiles flipping on homescreen and its music hub is copied from Windows Phone. I could go on and on WP is the OS everyone is mimicking. WP sales are better than ever before and with it being free now it will only get better. You continue to bash WP yet those who you love copies it. WP redefined the smartphone, deal with it. No you are a liar they did not. You nailed it, everyone is clambering to copy that 4%. I'm not sure what is worse, people saying Android copied iOS or that it is trying to copy WP. If you had said Android copied Symbian, I'd have bought that. Anything else comes off as delusional jealousy. Microsoft went the Metro design way and everyone else is as well, but at a much slower and gradual pace. When Android is released with live tiles in the base UI, I'll give you credit for saying they copied WP. If you know anything about Android then you would know how flexible Android and it's UI really is. WP just has tiles that can change their sizes (3 different sizes). They are not interactive. Android has widgets that can be sized anyway. Androids widgets are also interactive. If you don't like the UI on your current Android phone, then change it. If you want to look and feel like iOS then download an iOS launcher. If you want to look and feel like WP then download a WP launcher. Every OS has good and bad. Android shines above all others for its openness, flexibility, customization, and being agnostic. This is where iOS, WP, Blackberry fail in comparison to Android. Wow. I can't stand WP because of the tiles. I don't have a problem with it being smooth and fast, but the UI is a major turnoff for me. Try reading my original post again, with the sarcasm injected in the first sentence this time. How you can get I secretly love WP is a mystery. Your hatred towards it really does blind you to a lot of what you read in the comments about it. Google also took features from ios and other OS's. oh, you're so full of.... 1. Microsoft is not paying anyone to make WP devices, they come on their own, because they know WP has potential. 2. The market share may be 4% worldwide, but that is because people are afraid to try the tiled interface. Most of the people who have bought a WP like it a lot and that's why WP has one of the highest satisfaction rates (90% according to PCMag). So yeah some people prefer live tile, not just rows or icons. 3. The Windows Phone Store has 85% of the top apps and games. But you can continue living in your tiny made up world. I get that you don't like WP and that's fine, but don't tell lies. It's just pathetic. Actually IOS is now on 10%.